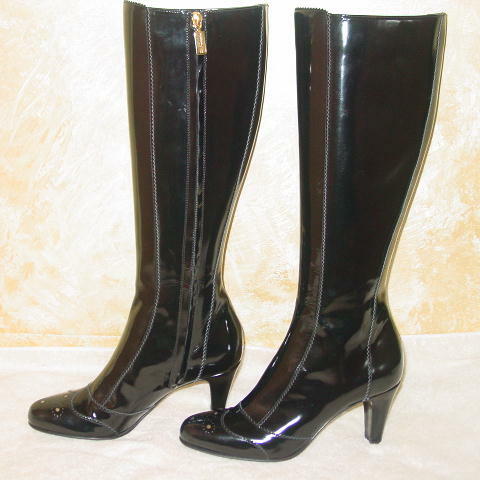 These never-worn black patent leather high heel boots are by Bruno Magli. They have sand color leather linings and insoles. 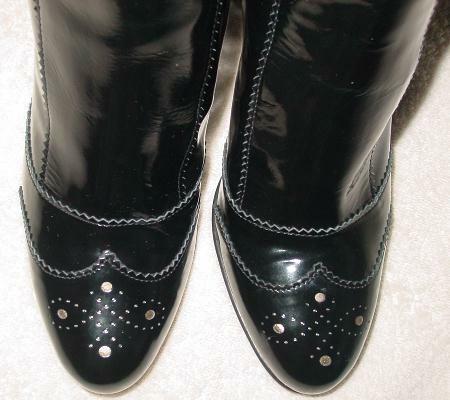 There are black leather soles with black rubber foreparts for flexibility and comfort. 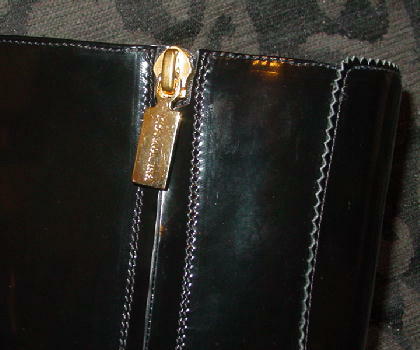 They have 15" long inner zippers with a gold-tone rectangular metal zipper pull with Bruno Magli etched on the top side. 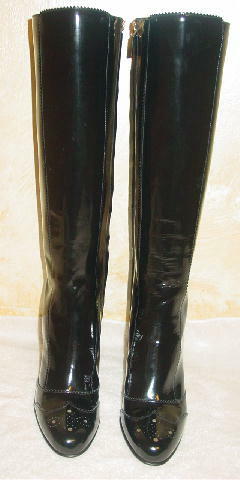 The high heels are wrapped all the way around with the black patent. The two side seams on each side have a tiny zigzag edging. 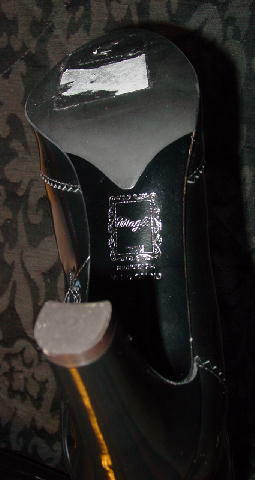 The upper front has the same tiny zigzags, and so do the two seams in the vamp and toe area. The top cap area has four round cutouts with gold-tone inner accents. The toe bed also has a perforated design. They have rounded toe areas. She bought them for an actress to wear in a movie. The actress was replaced with someone who wears a size 8 1/2. 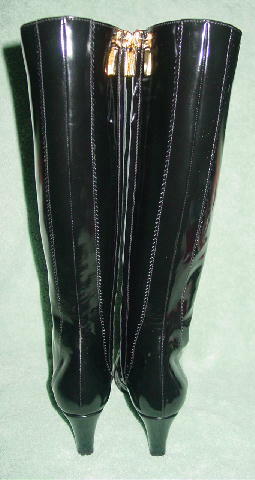 top of boot to bottom of heel 17 1/4"